You + Me @ SHRM Legislative Conference: What could possibly go wrong? Instead, picture this: A well-dressed guy saunters into the Washington Renaissance. Don’t worry, before next week, I’ll wash the stains out of my Metallica hoodie. Ok, Ratt hoodie. Ok, N’ Sync hoodie. Ok, N’ Sync sleeveless hoodie. He’s cool(ish) and snarky; he’s got an employment law blog and a license to practice law. He’s even got an employment law practice, which some* may say is thriving. You’re thinking to yourself, “How could I miss the chance to network with this, oh, what’s the word? Dynamo!” Ok, I’ll quit while I’m ahead. 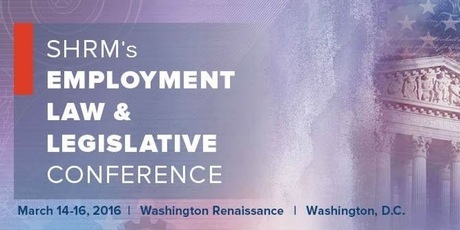 If you’re going to be at SHRM’s Employment Law & Legislative Conference in Washington, DC on Monday, and you’d like to meet up, email me, I’d love to meet you.